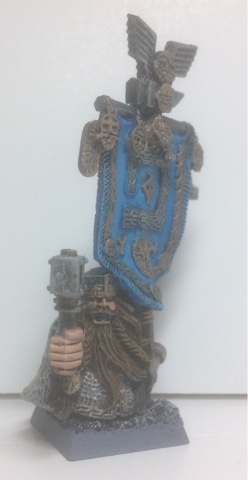 This is my latest dwarf BSB. 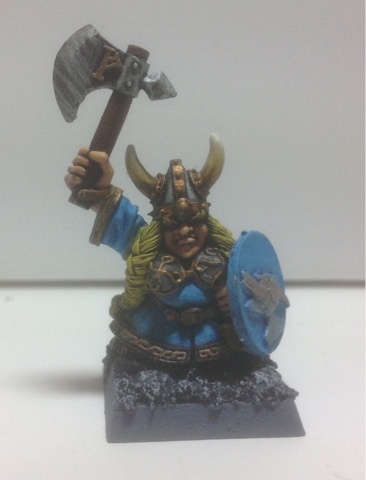 He is a slight conversion from the so called fine cast dwarf who kept breaking his right hand fingers. 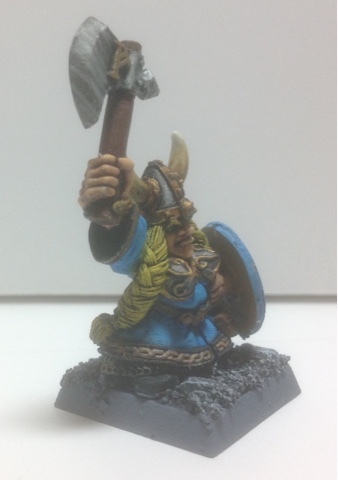 Thanks to our old friend Dremel the hand was removed and replaced with a dwarf hammer hand. 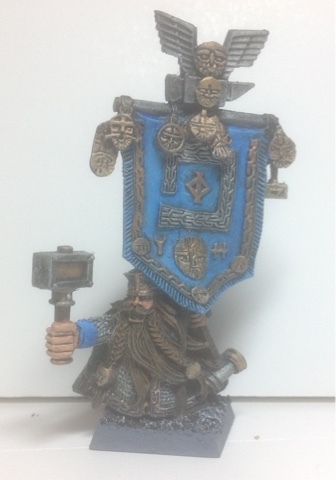 I usually equip him with the master rune of valaya to keep the magic protection up for my dwarf bros.
Next up is a slight repaint on an old Helga mini I picked up from one of my bros. It's a classic mini and well worth hunting down. 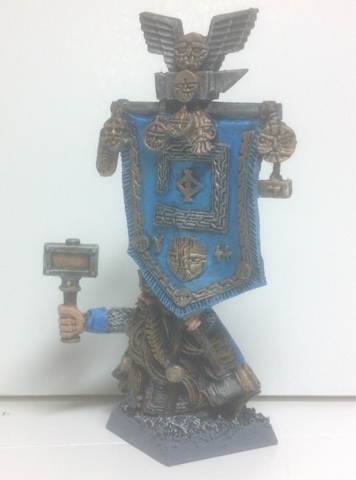 She has had her clothes slightly repainted to match the blue of my other bros and a shield from some of the other black tree design dwarfs.